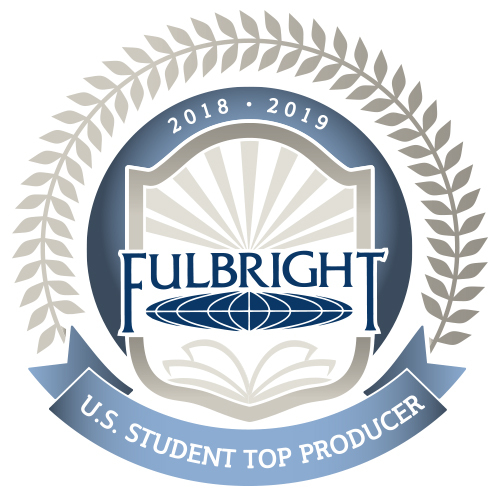 TUSCALOOSA — The University of Alabama (UA) has, for the third time in the last four years, been recognized as a top producing institution for Fulbright U.S. Student Awards. The recognition was announced Feb. 10 in The Chronicle of Higher Education. Fifteen of 39 UA applicants received the award for 2018–2019, one of the highest winning percentages in the nation. The Fulbright U.S. Student Program is the premier educational exchange program of the United States Department of State. The Fulbright Award competition offers grants for independent study and research and for English teaching assistantships overseas. The highly competitive program selects approximately 1,800 award recipients from more than 11,000 applicants each year. Thirteen UA graduates won awards as teaching assistants and two for research and study for the 2018–2019 academic year. University of Alabama graduates serving abroad on Fulbright Awards are Rachel Combs (Germany), Jeremy Connor (Germany), Carrigan Fain (Malaysia), Dwyer Freeman (Germany), Nicole Henderson (Brazil), Maggie Holmes (Spain), Natalie Kidd (Germany), Madeleine Lewis (Montenegro), Richard Lewis (Malaysia), Taebryanna Sims (South Korea), Shelby Smithson (Turkey), Theresa Stoddard (Spain), Kaylyn Williams (Czech Republic), Amanda Wolosz (Poland), and Annika Wulff (Germany). As a top producer with 15 Fulbrights in 2018–2019, Alabama is in company with some of the top research institutions in the nation, including Brown (35), Princeton (33), Georgetown (30), Notre Dame (24), Harvard (19), Emory and Yale (14), Duke (13), Vanderbilt (12), California-Berkeley (11) and Tufts (10). 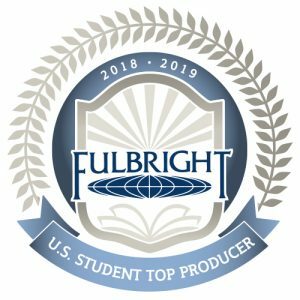 For the full list of top student Fulbright program producers, visit: https://www.chronicle.com/article/Top-Producers-of-Fulbright/245641. Students interested in applying for next year’s Fulbright program can learn more at international.ua.edu and us.fulbrightonline.org, or by sending an email to beverly.hawk@ua.edu.